It was show time at Gidgiegannup on day 28 – with 6 good friends. Lots of exhibits, lots of stalls, lots of food, lots of chat and lots of laughs! Always a good opportunity to buy local produce. This entry was posted in All Posts, Inktober 2017 and tagged #Inktober, #Inktober2017, Helen Lock, Ink, Pen, Perth Hills, Western Australia on October 30, 2017 by Helen. 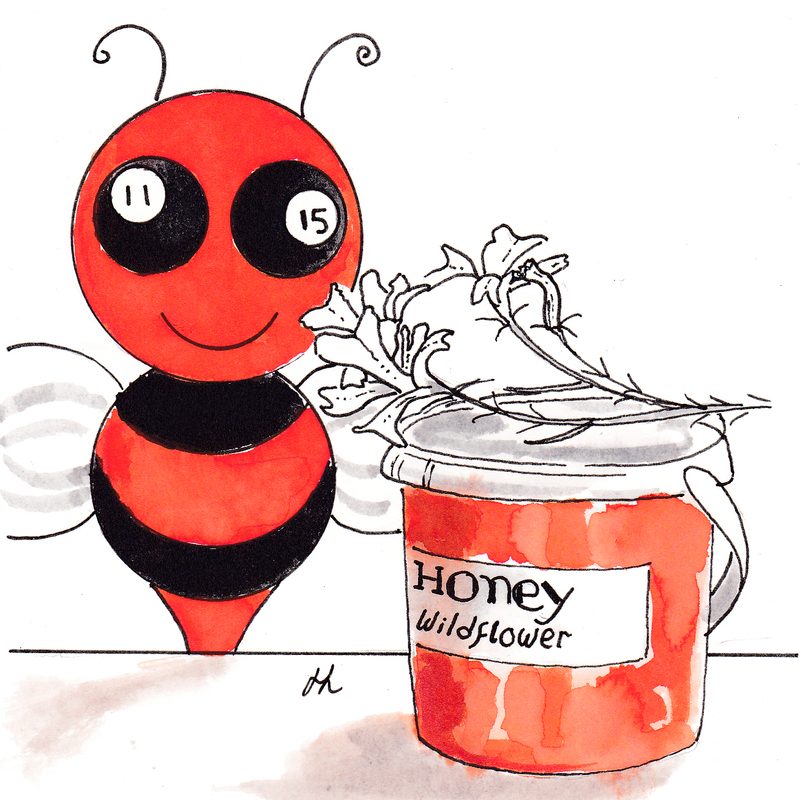 The wildflower honey is terrific! Do the bees gather chilly bush pollen to make chilli honey?